January 2019 - Make Coffee You Love! We talk a lot about semi-automatic and superautomatic espresso machines. If you've read our blog before you probably know that a superauto combines grinder and brewer in one. This is different from a semi-auto, which requires a standalone grinder. You may also know already that a superautos can brew coffee (and usually steam milk) with just a push of a button! But how do they stack up against semi-autos? The first and most obvious answer is ease of use. Professional baristas train for a long time to be able to make exquisite drinks on semi-automatic machines. A superauto makes this process far easier. It's true that in reality there's more to them than pushing a button and getting coffee out of one of these machines, but it's pretty close. The machine will also help you learn what different coffee drinks are if you're intimidated by the café menu! The other challenge with semi-auto machines is milk steaming. Where you may need to spend hours learning the perfect way to steam a pitcher of milk, a superauto's milk system does it by itself. Now, it's important to note, you'll never get milk like what a professional can steam on a superauto. Correctly creating microfoam and incorporating it into milk is so delicate that a machine will always struggle. However, milk systems in superautos do a great job, and steam milk better than many amateurs out there anyway! These machines also save time. The full process of grinding, weighing, brewing, and steaming milk on a semi-auto can take anywhere from 5-15 minutes depending on your skill level. A superauto can produce a latte or cappuccino in just a minute or two. What's more, there's usually less clean up with a superauto. Another component in the ease of use argument is maintenance. Semi-auto machines require you to know exactly how and when to perform backflushes, cleaning, and descaling. While these aren't impossible to learn, they do make maintaining a one of these machines more complex than a superauto. By contrast, a superauto will give you helpful indicators, warnings, and prompts. Typically cleaning and maintenance is a step by step process that the machine can walk you through as well. None of this is to say there's no tradeoff with these machines. The biggest is control. On a semi-auto you can tease out the complexities of a single origin to really craft something unique. Superautos work better with blends, as they tend to pull shots with a little less finesse. This isn't to say their coffee is bad though. On the contrary, the control you get out of a semi-auto doesn't mean better drinks. 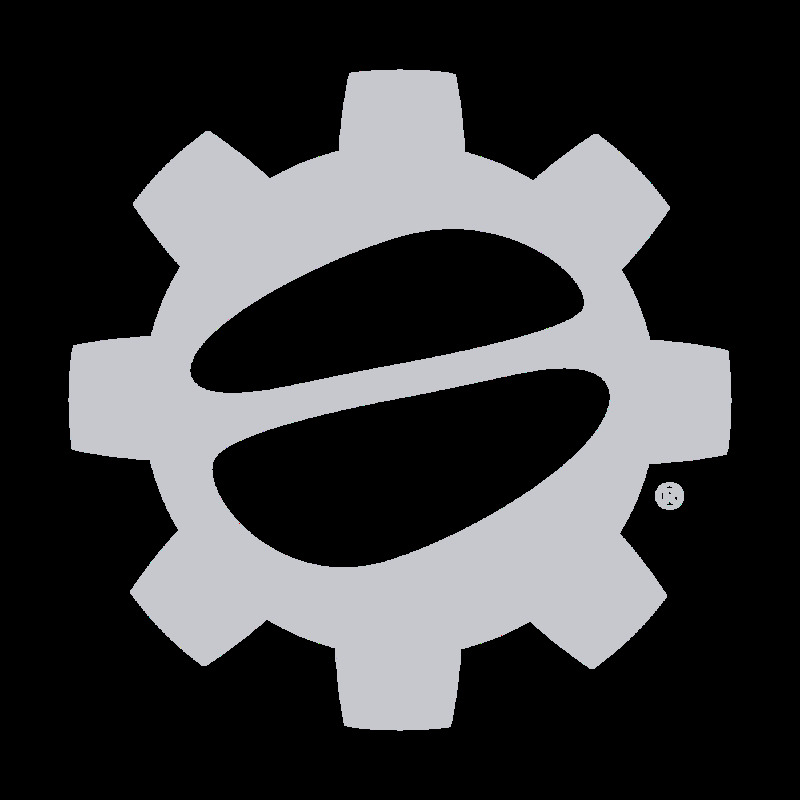 Instead, semi-auto espresso machines are often enjoyed by coffee hobbyists who enjoy a more complex process. As noted above, the same is true for milk. Superautos create good milk texture, but not on the level of a pro barista. That said, it takes a lot of practice and skill to make quality steamed milk, and some higher end machines get very close to what a barista could do. Finally, superautos tend to create cooler drinks than semi-auto machines. This is a real stumbling point for some coffee drinkers, so be sure to take a look at reviews for the specific machine you're considering. One thing you don't necessarily have to compromise though, is price! Superautos, like semi-autos, run the gamut in terms of price. From the Saeco XSmall clocking in around $500 all the way up to higher dollar machines like the Miele CM6350. Truly, there's a superauto for every budget. This entry was posted in Gear Guides, Educational on January 28, 2019 by Pat Cotter. We talk a lot about single origins, blends, brew methods, and tasting notes here, but when you’re new to the coffee world those terms can be intimidating! This week we want to look at some basic coffee vocabulary. There are two main types of third wave coffee that you can buy, blends and single origins. Some people think the term “single origin” is just a snooty buzzword used to sell expensive coffee. On the contrary! Its just a designation to help people understand what they’re drinking. A single origin roast is one who’s beans come from the same processing station (and often the same farm) in a region. Typically you’ll see names like Counter Culture’s “Ethiopia Idido” or Tony's “Kenya Kiganjo AA.” These names can be confusing! The first thing to look for is the country. This is the most simple element of single origins, as coffees from a single country tend to have similar flavor profiles, with the details worked out in the processing and roasting. In the case of our first example, the word “Idido” refers to the Idido cooperative where the beans were produced and processed in Ethiopia. In our second example, the term AA refers to the grade of the beans. AA beans are the largest and most dense coffee beans, something that effects flavor. On the flipside, the word “peaberry” would denote a specific type of smaller bean, preferable for other roasts. These elements of a single origin’s name are often explained on the bag, but if they aren’t covered there you can usually search for the coffee on the roaster’s website for the full story! We try to share anything especially unique on our product pages as well! We usually recommend trying single origins as pourovers to get the most out of their complexities. Once you have some experience with selecting different single origins, you can start experimenting with different brew methods! Most coffee drinkers consume more blends than anything. A blend is simply a combination of single origin beans mixed together! Most grocery store coffee you find will be blends, but plenty of micro-roasters get creative with them too! Often blends will be developed to highlight a specific tasting note or region. 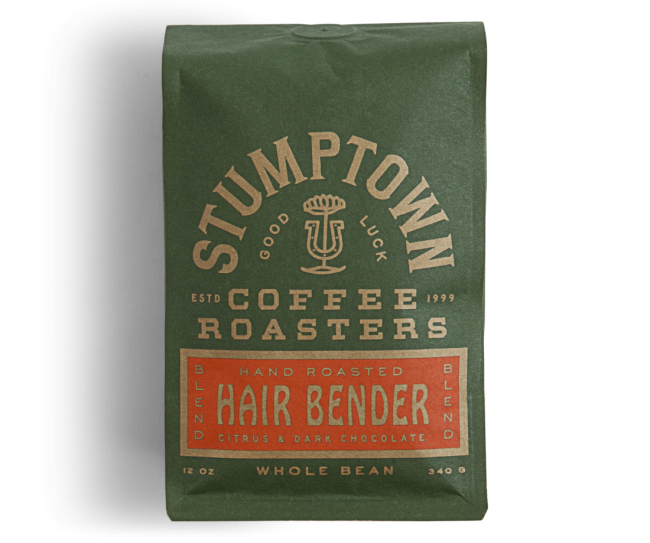 Most blends will feature a creative name, such as Stumptown’s “Hair Bender." A blend of South American beans may provide a jumping off point for you to find other South American origins that you enjoy! In other cases, roasters work to find a combination of beans that when roasted in a specific way create a particularly intense chocolate flavor. In these cases, blends can help you dial in specific notes to look for in the future. Most blends tend to be signature or seasonal, and are also often offered for specific brew methods as well! Intelligentsia’s “Black Cat Espresso” is a combination of beans perfect for espresso, and a great place to start for the new home barista. Blends tend to stay in stock for longer than single origins as well, because the beans can rotate in and out with less noticeable changes to their flavor profiles. In some cases, roasters may offer seasonal blends to celebrate specific holidays, or feature freshly harvested beans that are only available seasonally themselves. We update our product pages when we get a new batch of a blend in so that the page stays accurate to any bean changes! We’ll dig into tasting notes and cupping in a later post, but we hope this helps outline some differences in different types of coffee! This entry was posted in Educational on January 23, 2019 by Pat Cotter. This entry was posted in Coffee Culture on January 21, 2019 by Pat Cotter.